← Kate receives Evening Standard Theatre Award! 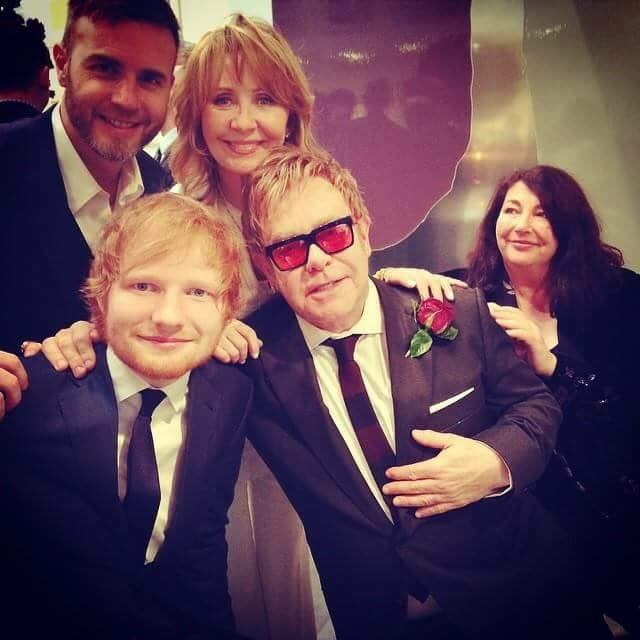 Sir Elton John and his partner David Furnish have formally converted their civil partnership into marriage today at a ceremony and wedding lunch at their Windsor estate, and Kate was one of the invited guests. 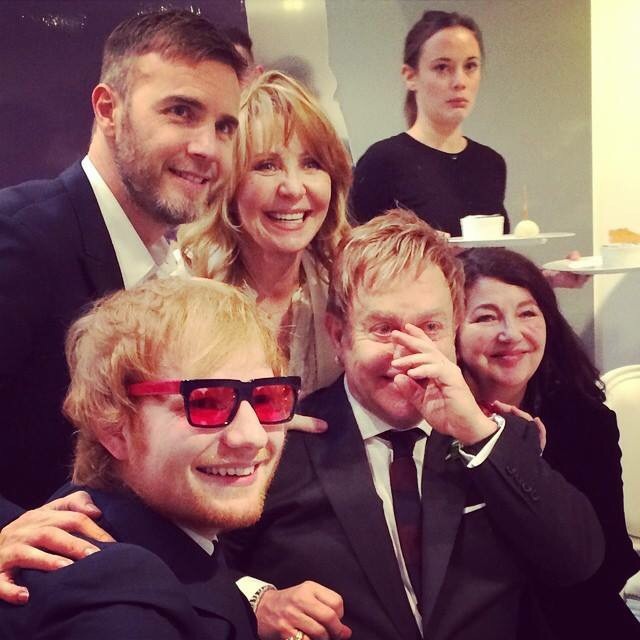 Singer Lulu posted a series of photos of Kate, Elton, Lulu, Gary Barlow and Ed Sheeran to Instagram with the hashtag #sharethelove, as requested by Sir Elton. Other attendees included David and Victoria Beckham, Michael Caine, Elizabeth Hurley and David Walliams. Lulu is one of the great singers from 1960’s Britain. She was one of the stars in the film “To Sir, With Love” starring Sidney Poitier. Lulu sang the movie title song. A huge hit word wide. Lulu is not very famous outside English speaking countries, especially in continental Europe, and I guess the younger generation probably doesn’t know very well what she’s done. 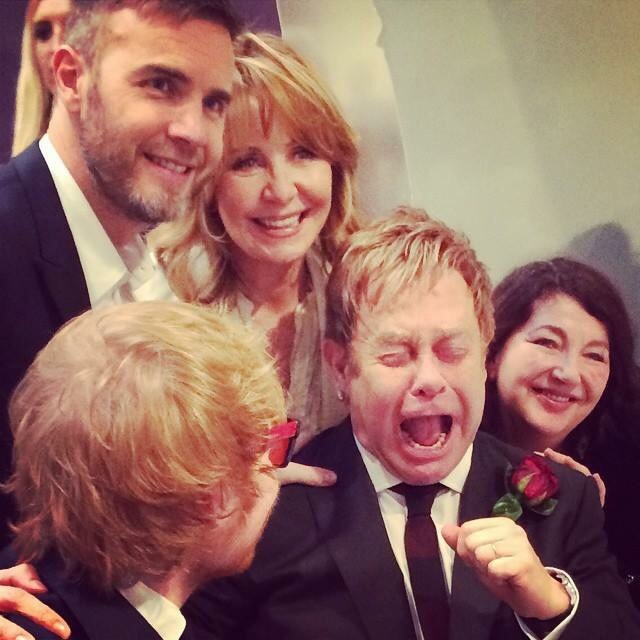 On the BBC special about Kate, Elton John said that when he celebrated his wedding/Civil partnership with David, nine years ago, there were loads of famous people in attendance and all anyone wanted to see was Kate. So great to see her enjoying herself! 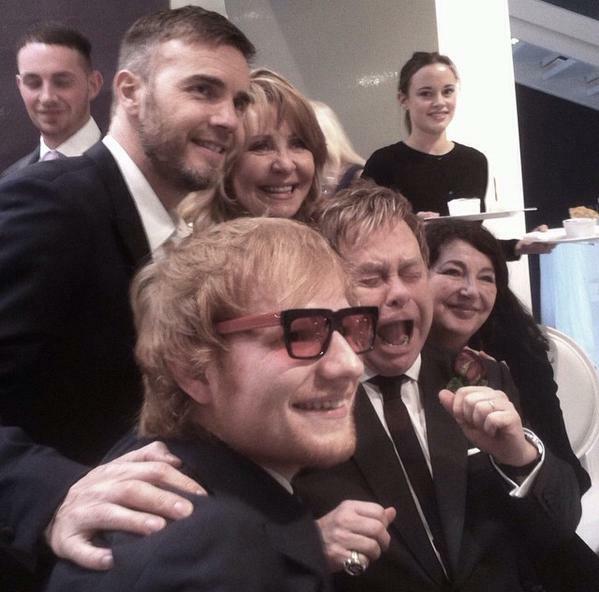 First off, Congratulations to Sir Elton and David!! Also, I’m glad to see that Kate is doing well and enjoying herself, due to the success of “Before the Dawn.” MERRY CHRISTMAS TO ALL!!! Please Kate, on your next album, please don’t do a duet with Gary Barlow or lulu, no matter how much they plead!